Brand new state of the art learning spaces uniquely designed by a team comprising experienced early childhood educators and leading architect and interior designer of child care centre. Spacious classrooms with diverse facilities for children including an indoor playground, water play station, child size kitchen, multimedia technology room, library and music and dance studio. 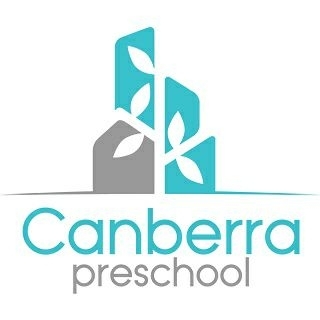 Advanced preschool management system which connects parents with the centre online, via emails as well as mobile phones providing parents with timely update of their children in the centre. The system also manages the centre’s administrative processes allowing the teachers to focus on what they do best – teaching and caring for the children. Latest technology in security system with security cameras and door access to ensure the safety of children at all times. We believe that each child is unique and is highly competent with innate abilities waiting to be unleashed. Children are curious by nature and are eager to explore the world around them; a world which is changing rapidly. We strive to prepare our children for this future with a holistic curriculum that merges the traditional methodology and modern technology to evoke children’s imagination and maximise their potential. Integrate modern technologies into our traditional early childhood education curriculum to enhance learning experience making it exciting, fun and relevant to children. The modern technology reinforces key technical skills our children need to thrive in the 21st century. Innovative use of technologies includes a digital tool specially designed for children to search for information in a safe online platform empowering children to become self-directed learners. Robotics and Coding are integrated into our curriculum providing tools for our children to have fun while experimenting and solving problems together. This helps to build up their confidence and creativity. Engage children in S.T.E.A.M. learning (Science, Technology, Engineering, Arts and Mathematics) developing in children 21st century skills which include critical thinking, imagination, problem solving, innovation and social skills. We adopt thematic approach to learning which allows children to see how facts and ideas are connected to one another across different areas of learning, thereby constructing meaning and knowledge. By integrating different learning areas around a common topic, learning becomes relevant for children. Learning for children become more fun and effective, motivating them to explore and discover more.